Here are some great Mount Kenya pictures. 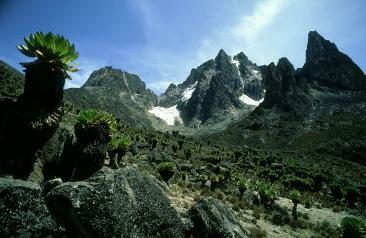 This mountain is the highest of Kenya and (after the Kilimanjaro) the second highest of the whole African continent. The country gets it’s name from this mountain, too. 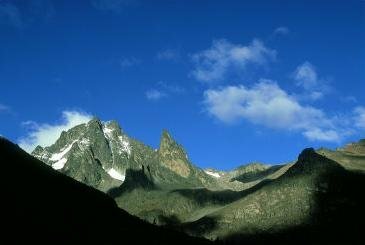 Above: The beautiful blue sky of Mount Kenya. The Kikuyu, Kenya’s biggest tribe, believe that their god Ngai lives on top of Mount Kenya. 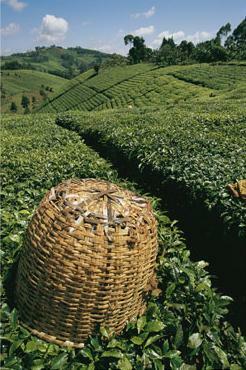 Above: Tea plantations on the slopes of Mount Kenya. Since 1997, the mountain area has been a World Unesco World Heritage site. 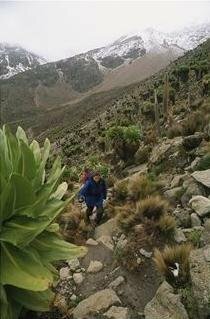 Above: The way up Mount Kenya. As you get higher, there are fascinating changes in the plants, trees and animals. At 2000 metres, the true mountain forest with podo and cedar begins. A belt of bamboo forest begins at 2500 metres. At this level, the trees are covered with high altitude moss. 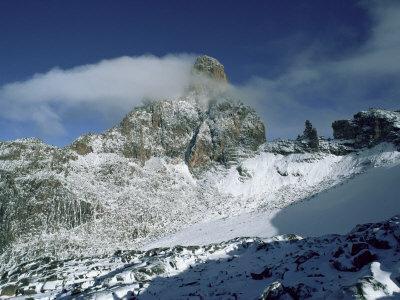 Above: The south-east-face of Mount Kenya. This is one of the few places under the equator worldwide where there’s eternal ice and snow. 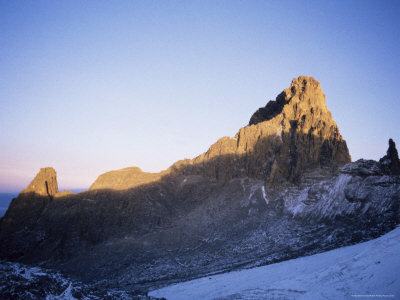 Above: Sunlight on the Batian (5199 m.), the highest summit of Mount Kenya. 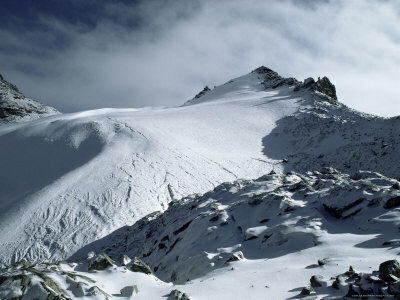 Above: The third-highest summit of the mountain, Point Lenana (4985 m.). When the first European to see Mount Kenya – J.L. Krapf from Germany in 1849 - reported seeing snow on this equatorial mountain, he was ridiculed by the scientific community. Above: Made it! 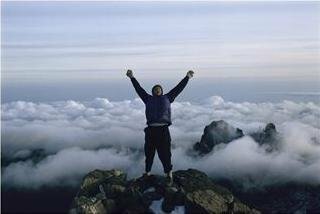 If you reach the tops of Mount Kenya, you’ll have a great view over the clouds. 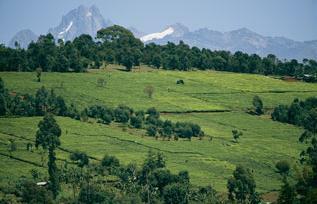 Above: Tea plantations in Mount Kenya National Park, the area surrounding the mountain.